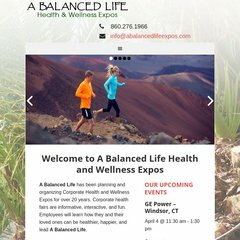 abalancedlifeexpos.com A Balanced Life - Why Have a Health and Wellness Expo? Its 2 nameservers are dns1.megahits.net, and dns2.megahits.net. It is hosted by Level 3 Communications Inc (Colorado, Broomfield,) using Apache web server. Its IP Number is 72.236.228.18. PING (72.236.228.18) 56(84) bytes of data.